This is the seventh post in a monthlong series that started here. Each post will take about two minutes to read and may include an action item that takes the reader another two minutes to complete. I am writing this for an audience of people who know nothing about frequent flyer miles, and my goal is that by the end, you know enough to fly for free anywhere you want to go. We’re in the section on redeeming miles. Once you understand how to redeem miles, you’ll understand which miles are right to earn for your travel goals. This post will focus on American Airlines, which are ideal for international premium cabin awards. American Airlines miles are the best miles for ultra-luxury redemptions like Cathay Pacific First Class, Etihad First Class, or Qantas First Class. American Airlines has very cheap off peak awards. If you are willing to go to Europe in the fall, winter, or spring in economy, you can pay only 20,000 miles each way. There are also great off peak economy awards to Japan, Korea, Central America, South America, and the Caribbean. American Airlines has not devalued its award charts for years. United and Delta greatly increased the miles price of premium cabin awards in 2014. What airlines can you fly with American Airlines miles? What are the routing rules for American Airlines awards (stopovers, open jaws, free one ways)? What are the special features of the AAdvantage program (off peak awards)? How can you book an American Airlines award? Of the Five Types of Miles, American Airlines miles are region-based miles. American Airlines has two region-to-region charts, one for travel on American Airlines and one for travel on its partners. The rest of the year MileSAAver awards are the cheapest awards. The partner chart doesn’t have all these levels because partner awards always price as MileSAAver or off peak awards. To have a multi-segment award price as a MileSAAver, every segment in that direction must have MileSAAver space. Links to see which countries are in which region of the chart can be found at the bottom of the partner award chart. Subject to other routing rules, which I’ll detail below, you can freely combine American Airlines flights, oneworld partner flights, and other partner flights onto a single award. You can book one way awards with American Airlines for half the price of roundtrip awards. Unfortunately American Airlines has complicated routing rules that no other airline has. The airline that flies the flight that connects you from one region on the award chart to another must have a published fare all the way from your origin to your destination. When flying from one region to a second region on the award chart, you cannot connect in a third region or your trip will price as two separate awards. Here is a partial list of exceptions based on experience. American Airlines doesn’t publicly release the complete list. You don’t really need to know these rules because most convenient routings will usually follow these rules. But if you think you have a good award and an American Airlines agent prices it higher than you were expecting, you probably violated one of these two rules. You can check whether your region-connecting airline has a published fare from your origin to your destination by using Expert Flyer. Note that “having a published fare” and flying the whole route are two totally different things. No stopovers are allowed on awards. A stopover is a layover of more than 4 hours on a domestic award or 24 hours on an international award. You can fly up to 125% of the Maximum Permitted Mileage between your origin and destination. This is generous and allows for out-of-the-way flying, but that doesn’t do you much good now that stopovers are prohibited. Find the Maximum Permitted Mileage for you origin and destination by using Expert Flyer. When you can book one way awards, like you can with American Airlines miles, you can always book as many open jaws as you’d like. Free one ways require a stopover at your home airport. American Airlines awards can’t have free stopovers. Therefore American Airlines awards cannot have free one ways. The main special feature of the American Airlines program is the ability to redeem for incredibly cheap economy awards during off peak months. For many regions, the off peak dates include some great times to visit. While other airlines offer off peak awards occasionally, American offers them on the most dates to the most places with the most partners. For people who don’t need to travel to Europe at the height of summer, this is a major plus of the American Airlines program. American Airlines awards require you to pay the government taxes associated with the itinerary. These start at $5.60 each direction for domestic awards and go up to $300 roundtrip if you fly to the United Kingdom in a premium cabin. Generally international awards have roundtrip taxes of $50 to $150. Phone Fee: There is no award booking fee for awards booked at aa.com. There is no award fee for booking awards by phone at 800-882-8880 that cannot be booked online. Late Booking Fee: There is a $75 booking fee to book an award less than 21 days from the date of departure. This fee is waived when the booking is made from an American Airlines Gold, Platinum, and Executive Platinum account. Date and Time Changes: Changing the date or time of travel is free unless the change occurs within 21 days of departure when it costs $75. This fee is waived when the booking is made from an American Airlines Gold, Platinum, and Executive Platinum account. Origin/Destination Changes: There is a $150 fee to change the origin or destination of an award ticket plus $25 for each additional person on the same reservation. This fee is waived when the booking is made from an American Airlines Executive Platinum account. Cancellation: American Airlines also charges $150 to cancel an award ticket and redeposit the miles plus $25 for each additional person on the same reservation. This fee is waived when the booking is made from an American Airlines Executive Platinum account. American Airlines does not charge fuel surcharges on awards except on British Airways and Iberia flights. The fuel surcharges on British Airways longhaul segments can be up to $500 one way per person. In all but the rarest circumstances, you’ll want to avoid booking British Airways flights with American Airlines miles. The following airlines’ award space can be searched and booked at aa.com. All other award space can be searched and must be booked by calling American Airlines at 800-882-8880. I recommend searching award space for these other airlines before calling because phone agents might not find what you can find with a diligent search. If you can’t seem to find the award you want for your dream trip, you can hire my Award Booking Service to search and book your American Airlines awards. We have the expertise to search every American Airlines partner to maximize convenience and luxury while minimizing out-of-pocket cost. American Airlines AAdvantage is one of the best frequent flyer programs. Its strengths are ultra-luxury redemptions on its partners and its off peak awards. American has fantastic availability domestically, and many of its partners have great availability too. Availability is a big strength of this program in all classes of service. American has complicated–some would say “annoying”–award routing rules, but most reasonable awards comply with the rules naturally. American Airlines awards are flexible for one way travel, but unfortunately you cannot add stopovers to the awards. There should never be a fee to book an American Airlines award more than 21 days before departure because the phone booking fee is waived if your award cannot be booked online. American Airlines miles are very easy to get. 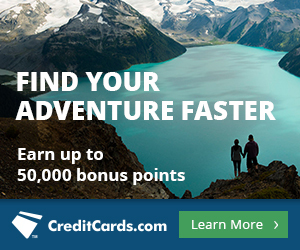 Right now the Citi® / AAdvantage® Platinum Select® MasterCard® comes with 50,000 bonus miles after spending $3,000 in the first three months. 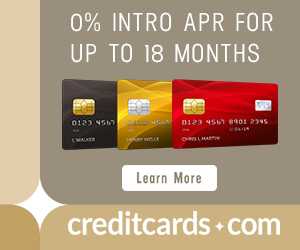 The card also comes with other awesome benefits like a 10% rebate on miles used for award bookings. Take advantage of the AAdvantage program as much as possible for the next six months. I expect an award chart devaluation in late 2015.
good summary and write up. Is Origin/Destination defined as the airport or region? Thanks!